Abhinay Berde is a promising ,versatile actor of Marathi Film Industry. He has made his best debut entrance in Marathi Industry with Film Ti Saddhya Kay Karte released on 6th January 2017 in which he won ,”The best Male Debut “Award. 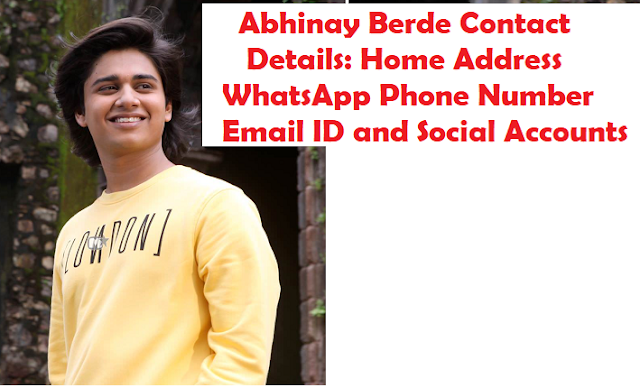 Abhinay Berde was born on 3 November 1997 at Mumbai. He is the son of Late Laxmikant Berde and Priya Berde. Both were well known actors of Marathi and Bollywood Movies. Laxmikant Berde was famous for his acting skills and was a popular Comedian until his death.Some of his Marathi films include De Dana Dan(1985), Dhoom Dhadaka(1984), Aamhi Doghe Raja Rani, Ek Pareekshak, Zapatlela,etc. Some of his Hindi films include Aarzoo, Saajan, Beta, 100 Days. Hum aapke hain kaun, etc. Priya Berde was also talented actress and had many hindi films. Abhinay has done his schooling from Sinhagad Springdale Residential Public school along with his sister Swanandi Berde. He is currently a final year student, pursuing BA Economics, at Mithibai College. Abhinay like to spend his time in Reading, watching movies and gaming. His favourite spots include Mumbai, Goa, and Shimla. His favorite actors are Shahrukh Khan, Laxmikant Berde ,Robin Williams And Kamal Hassan. His favourite actresses are Madhubala, Madhuri Dixit,Sridevi,Alia Bhatt, Priyanka Chopra and Kangana Ranaut. His Favourite colours are black, white and Blue.His aim before being an actor was to serve nation and be an army man. He had a great memorable experience when he faced camera for the first time. His first film was Ti Sadhya Kay Karte,directed by Satish Rajwade,Produced by Arwind jog, Pallavi Rajwade,Nikhil Sane, and umesh Shinde, with sweet and melodious heart touching songs. The story was outstanding and his role as Anurag touched many hearts, made it more successful. The movie picturised teenager love,friendship, struggling, drifting apart, and happiness, and finally meeting the two hearts, everything in a mesmerizing way. It was his best entry in the industry. There is a rumors that third movie of Abhinay Berde will be lead actor in the directorial of Sanjay Jadhav. But yet official announcement not available anywhere. 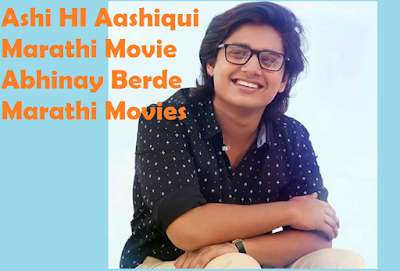 After the debut appearance Of Ti Saddhya Kay Karte, Abhinay Berde second Movie is Ashi Hi Aashiqui released in 2018. The film is directed by the Legend Marathi Actress Supriya Pilgaonkar, Wife of Sachin Pilgaonkar, The legend of Marathi Film Industry who has 7 stars as allrounder namely Actor, Director, Dancer, Producer,Singer, Story writer and Television Host.Joe Rajan and Vajir Singh also joined Supriya Pilgaonkar in the direction of the film. Sachin Pilgaonkar is the music director of the film and for the first time in the Marathi Film Industry. He is back in the Film Direction after a break of 4 years. The second movie of Abhinay Berde', Ashi Hi Aashiqui is a teenage Love story in which he is playing the leading role. The entire songs will be sung by everchanging melodious voice of Sonu Nigam. Expecting the film to be the best Romantic Drama with great performance of Abhinay Berde. His message to his fans to keep loving and will make great performances with extraordinary projects.He is a promising actor and will be a part of many projects in future. If you want to Contact Abhinay Berde, then He is actively participate in Social Media via Instagram-@abhinay3. Also can contact via his Facebook Profile and Twitter. Are you looking for actors hairstyle secrets? Want to know how you can make your hair stylish like filmy actor, then read this exclusive interview take by one of the channels and know the secrets of Silky, thick hairstyle. Those quick tips are given by rising star of marathi movies Abhinay Berde. Abhinay Berde has shared his secret of Silky and thick hairstyle and he also shared the quick tips for hairstyle and how to keep your hair thick, silky. In this article, we are going to discuss about Abhinay Berde's Hairstyle and what he do to take care of hairs from his childhood. Abhinay Berde is rising star of Marathi cinema who debut in Ti Saddhya Kay Karte marathi movie. 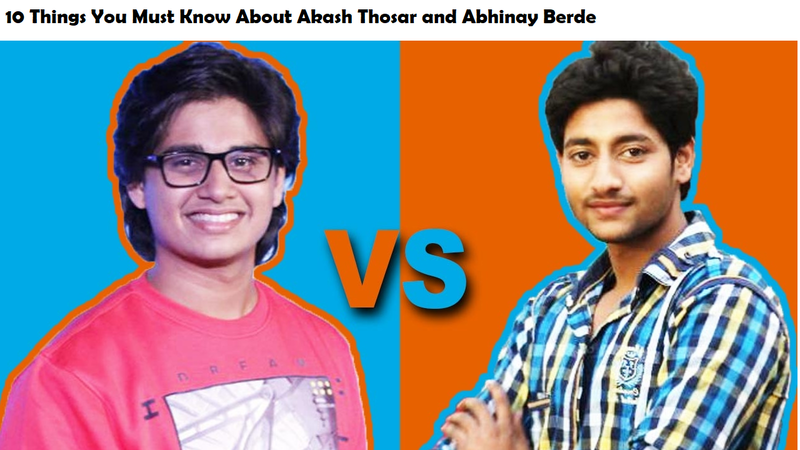 Abhinay Berde is son of very much popular comedy kind late Laxmikant Berde and Priya Berde. According to Abhinay's recent comments and Videography it is stat that he want to be a superstar. As he have a status on his social media with videos where he said "I am here to become a superstar" And Yes, who do not want to achieve the height of success. Everybody, in every field want to achieve the highest success and thus Abhinay Berde also dream of Superstar and we can surely said that he can be a super star of marathi cinema very soon. Abhinay Berde has a special hairstyle as we can see his hair are so silky and stylish which attracting to many youth today. Abhinay debut film Ti Saddhya Kay Karte marathi cinema got hit with record collection on box office. It is said that Abhinay Berde's hairstyle look is much attraction to today youth who is seeking for the tips to do stylish and silky hairs like Abhinay. Abhinay Berde second movie is Ashi Hi Aashiqui directed by Sachin Pilgaonkar. This is a teenage love story movie. Know more about upcoming marathi movies. Rajshri Marathi ShowBuz had interviewed with Abhinay Berde, which video is present on their YouTube Channel. In this video which is less than a minute, we can see Abhinay Berde is presented with his sister Swanandi Berde and mother, actress Priya Arun-Berde. Q: What is the secret of his stylish and silky hairstyle? Bollywood has a craze of hairstyle so what do you do any special for hair which are so silky and stylish which gone crazy among today youth? Abhinay Answer : I do nothing much, but I take care my hairs very much since childhood. I wash my hairs with shampoo, do drying and oil my hairs regularly. I do not spread Gel on my hair. Me and my mother like fish dishes very much and thus we both have much proteins our, both hairs are so style and silky. I love my hairs so much and I always take care it regularly. Abhinay also shared his hostel incident on hairs that he was so disappointed while he was hostel and there he must had to keep small hairs. If you want to know more about Abhinay Berde Hairstyle, then simply watch the video on YouTube and comment below. Do you want to make hairstyle like Abhinay? Then follow his tips to make your hair silky, thick and stylish.